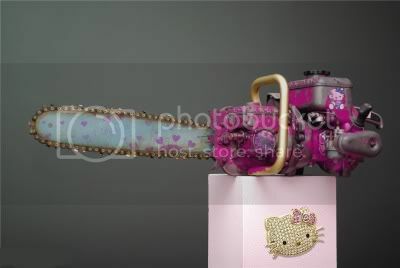 Hello Kitty is going to rule the world and she's going to do it with cuteness and heart decorated pink colored weapons. Why do I feel like this is a great tool to be used in the "SAW" movies. It's going to add a real psycho feel to it. Real men can use pink tools.